A stunning new version of ADL’s market-leading Enviro400 double deck is to be unveiled at Coach & Bus Live, at the NEC, on September 30. The stylish hybrid will be more fuel efficient, generate fewer emissions and be more competitively priced than any vehicle in its class, says Alexander Dennis Limited (ADL). 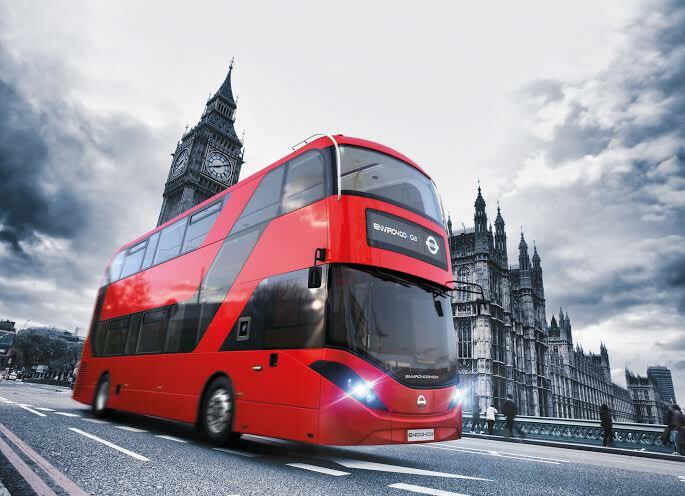 It will initially go into service in London, backed by a multi-million order that will see the first 19 purchased by Arriva, all of which will join their Route 78 fleet later this year. 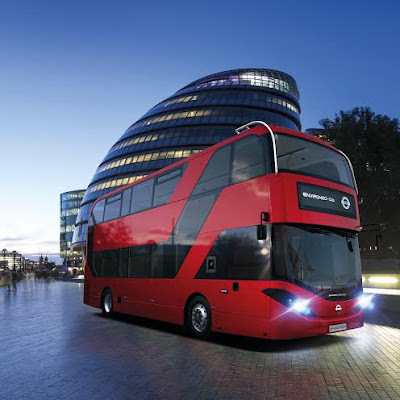 “This is a spectacular, new-look vehicle that will bring a further dimension to transport in the suburbs and the city centre of London”, said Colin Robertson, CEO of ADL, adding: “It builds on the ‘London look’ with a glazed stairwell, wrap-over rear saloon windscreen and a series of unique design features that reduce solar gain. Significantly, it also represents an evolution of Britain’s best-selling hybrid bus, our Enviro400 double deck, which has a reputation second-to-none for fuel economy, reduced emissions, reliability and all-round performance, hence the reason that 850 ADL hybrids are already in operation in towns and cities across the UK”. The new two-door bus, branded as the Enviro400H City, builds upon the Enviro400 MMC (major model change) that was introduced by ADL in the spring of last year, a vehicle that was developed over a three-year period in conjunction with dozens of operators, drivers, suppliers and transport organisations – and which was hailed at its’ launch as the bus “designed by the industry for the industry”. 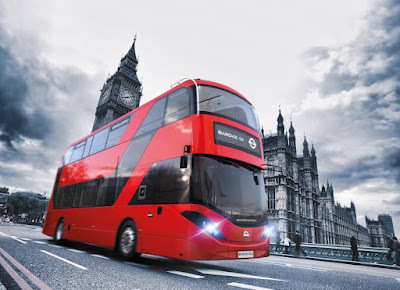 Since then the Enviro400 has consolidated its position as Britain’s best-selling bus, both in diesel and hybrid-electric mode - and is now to be offered as a stylish 21st century, next-generation option. It combines a modern, dashing new look with unrivalled, proven BAE Hybridrive technology that has an outstanding reputation for reliability and durability. The Enviro400H City brings together elegance and practicality and ushers in a contemporary new look that features a raft of sophisticated, yet pragmatic design solutions, all of which give it a real street presence while retaining the passenger comforts and dependability that are the hallmark of the best-selling Enviro400 range. The 10.4m Enviro400H City will be capable of carrying 90 passengers and will be powered by the well proven Cummins four-cylinder, 4.5 litre iSBe engine. It will also feature the latest generation Lithium-ion battery technology.